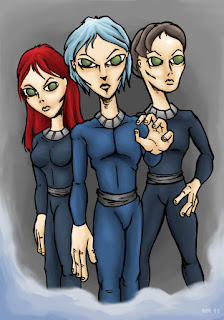 Extraterrestrial Human Hybrids are often reported by those who are abducted by Alien Greys. Often times a "family unit" will be observed, headed by a Grey in the "male" role, with a hybrid female acting as a mother to younger hybrid children. They are usually smaller in stature, with lighter builds, and larger heads and eyes, and often appear "sickly." 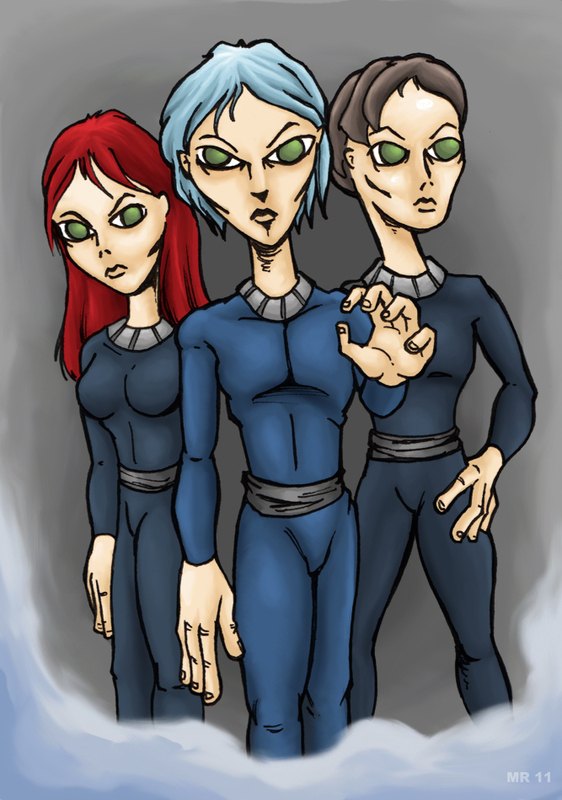 Some abductees have described them as nearly indistinguishable from normal humans.